If you’re a small business that sells something, provides a service or dishes out complex information then having an FAQ page on your website is a no brainer. 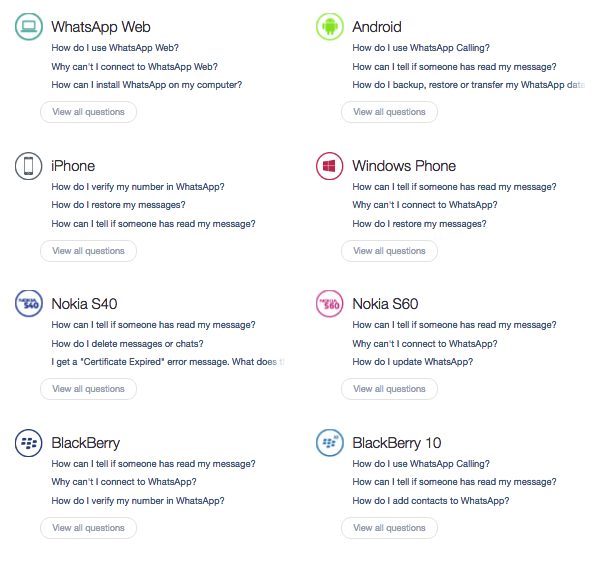 So if you want to get cracking on creating a new FAQ page for your website then check out our breakdown of real time messaging platform WhatsApp for some inspiration. 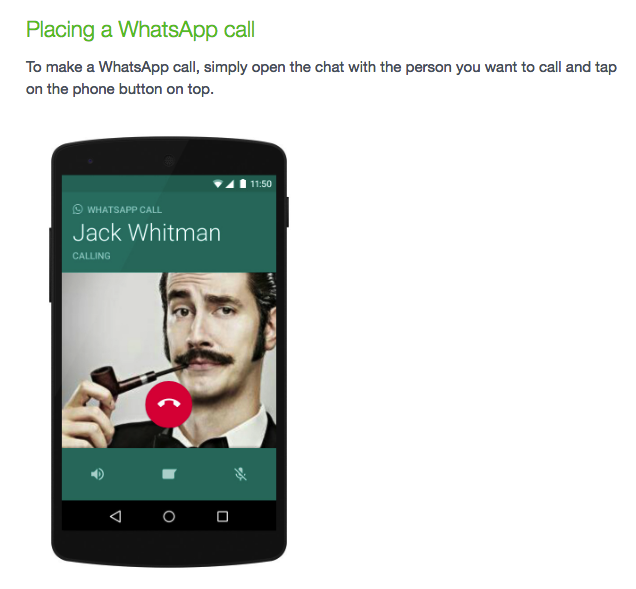 We’ve used Whatsapp’s FAQ page as an example here, because we think it’s pretty spot on. 1. 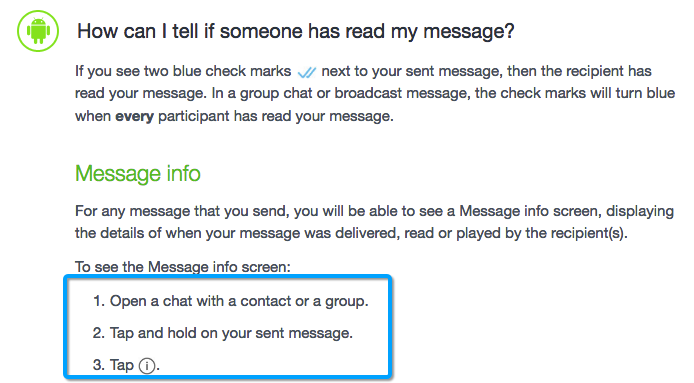 Make the questions bold and readable. Your customers need to be able to scan quickly for the information they need. Don’t be overly technical or use language filled with jargon. If you over complicate things the customer won’t get value from the answer and will end up having to get in touch to as the same question again. 4. Use visuals where appropriate – Use icons to demonstrate different categories. If a diagram or screenshot can help clarify, use it. There are no tips for the specific work count of an FAQ, the length is dependent on the complexity of the question. Always make sure you summarise the answers in the best possible way. Have more? 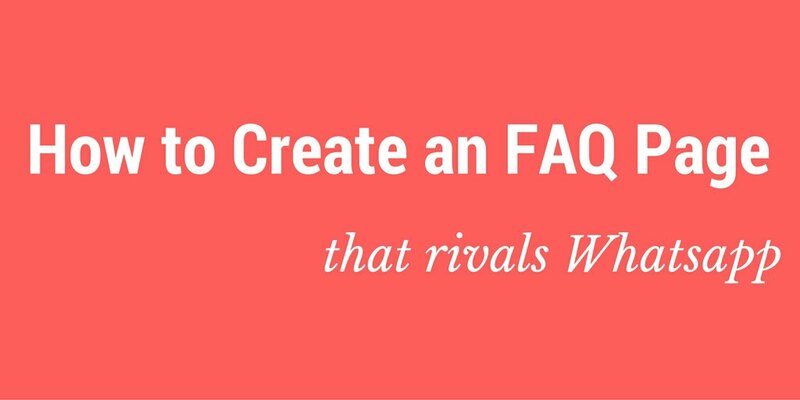 Consider grouping them together or answering related questions in a blog post, and then linking to that blog post with one FAQ. 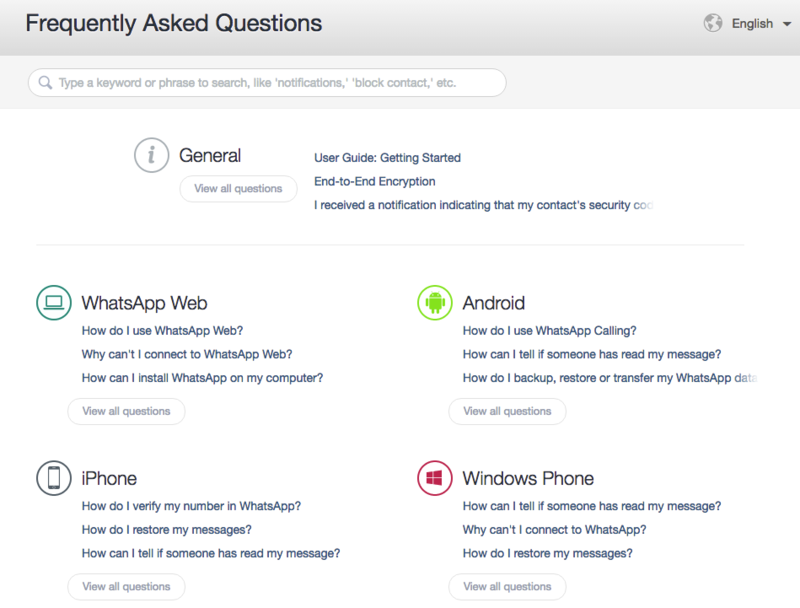 Link each answer and the entire FAQ page back to a related page, it helps keep the user experience as seamless as possible. 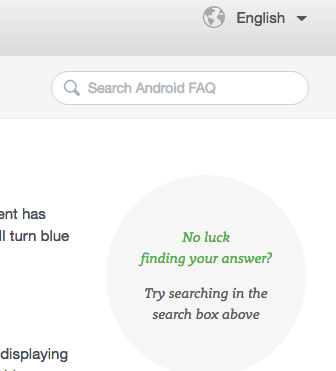 Let your visitors search for questions.